Although scientific models and simulations differ in numerous ways, they are similar in so far as they are posing essentially philosophical problems about the nature of representation. 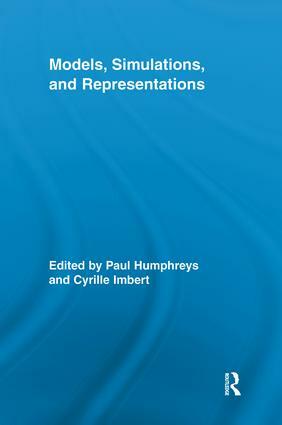 This collection is designed to bring together some of the best work on the nature of representation being done by both established senior philosophers of science and younger researchers. Most of the pieces, while appealing to existing traditions of scientific representation, explore new types of questions, such as: how understanding can be developed within computational science; how the format of representations matters for their use, be it for the purpose of research or education; how the concepts of emergence and supervenience can be further analyzed by taking into account computational science; or how the emphasis upon tractability--a particularly important issue in computational science--sheds new light on the philosophical analysis of scientific reasoning. Paul Humphreys is Professor of Philosophy, University of Virginia. Cyrille Imbert is CNRS researcher, Archives Poincare (University of Nancy 2, CNRS).